The spring 2019 NC State Engineering Career Fair will still be held on Wednesday, Feb. 6, at the McKimmon Center on NC State’s campus. The biannual event is one of the largest career fairs of its kind in the nation and draws thousands of participants seeking full-time positions, co-op opportunities and internships. The career fair is not limited to NC State students and routinely draws students from other colleges and universities in North Carolina and from other states. The spring 2019 career fair will include more than 200 registered companies, government agencies and academic units. Fields represented include energy, manufacturing, automotive, finance, insurance, software development and other sectors of the economy. 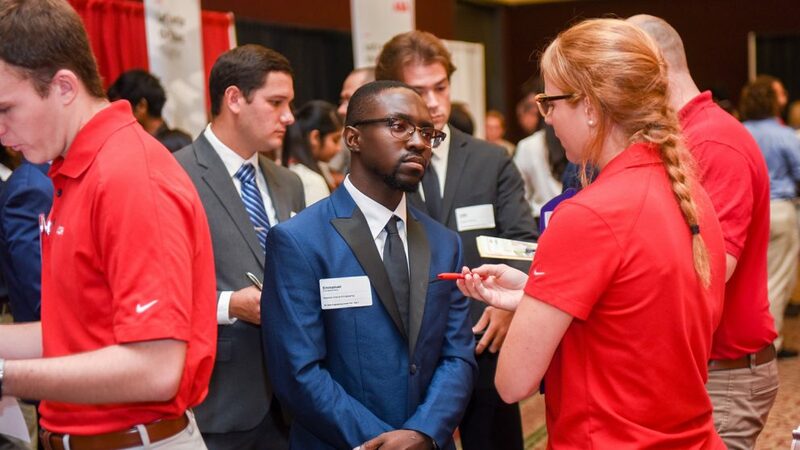 The NC State Engineering Career Fair is open to the public and is free of charge. Date and time: Wednesday, Feb. 6, from 9:30 a.m. to 4 p.m. Location: The Jane S. McKimmon Center at 1101 Gorman Street on the NC State campus in Raleigh. Parking: Parking is available at The McKimmon Center and at Vaughn Towers at Carter-Finley Stadium with shuttle service to and from the event via the Yellow Line. Check http://coe.transloc.com to track the shuttle buses. Media contact: Brent Lancaster, Engineering Communications. 919-515-3394 or bwlancas@ncsu.edu.